They were used by the British Royal Navy (RN) and the German Kaiserliche Marine during the First World War and by both the RN, the Kriegsmarine and the United States Navy during the Second World War (1939–45). In the 1670s, HMS Kingfisher (1675) was specially designed to counter the attacks of Algerine corsairs or pirates in the Mediterranean by masquerading as a merchantman, hiding her armament behind false bulkheads. She was also provided with various means of changing her appearance. In the First Battle of the Atlantic, Britain was by 1915 in desperate need of a countermeasure against the U-boats that were strangling her sea-lanes. Convoys, which had proved effective in earlier times (and would again prove effective during the Second World War), were rejected by the resource-strapped Admiralty and the independent captains. Depth charges of the time were relatively primitive, and almost the only chance of sinking a submarine was by gunfire or by ramming while on the surface. The problem was how to lure the U-boat to the surface. A solution to this was the creation of the Q-ship, one of the most closely guarded secrets of the war. 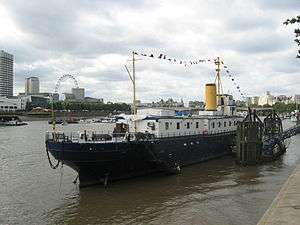 Their codename referred to the vessels' home port, Queenstown, in Ireland. These became known by the Germans as a U-Boot-Falle ("U-boat trap"). A Q-ship would appear to be an easy target, but in fact carried hidden armaments. A typical Q-ship might resemble a tramp steamer sailing alone in an area where a U-boat was reported to be operating. By seeming to be a suitable target for the U-boat's deck gun, a Q-ship might encourage the U-boat captain to make a surface attack rather than use one of his limited number of torpedoes. The Q-ships' cargoes were light wood (balsa or cork) or wooden casks, so that even if torpedoed they would remain afloat, encouraging the U-boat to surface to sink them with a deck gun. The crew might even pretend to "abandon ship". Once the U-boat was vulnerable, the Q-ship's panels would drop to reveal the deck guns, which would immediately open fire. At the same time, the White Ensign (Royal Navy flag) would be raised. With the element of surprise, a U-boat could be quickly overwhelmed. 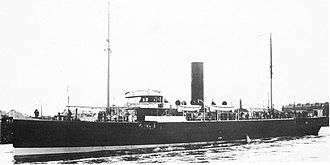 The first Q-ship victory was on 23 June 1915, when U-40 was sunk off Eyemouth by the submarine HMS C24, cooperating with the decoy vessel Taranaki, commanded by Lieutenant Frederick Henry Taylor CBE DSC RN. The first victory by an unassisted Q-ship came on 24 July 1915 when the Prince Charles, commanded by Lieutenant Mark-Wardlaw, DSO, sank U-36. The civilian crew of Prince Charles received a cash award. 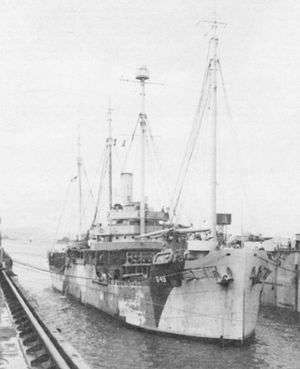 The following month, an even smaller converted fishing trawler renamed HM Armed Smack Inverlyon successfully destroyed UB-4 near Great Yarmouth. Inverlyon was an unpowered sailing ship fitted with a small 3 pounder (47 mm) gun. The British crew fired 9 rounds from the 3 pounder into UB-4 at close range, sinking her with the loss of all hands despite the attempt of Inverlyon's skipper to rescue one surviving German submariner. HMS Farnborough (Q-5) sank SM U-68 on 22 March 1916. Her commander, Gordon Campbell, was awarded the Victoria Cross (VC). New Zealanders Lieutenant Andrew Dougall Blair and Sub-Lieutenant William Edward Sanders VC, DSO faced three U-boats simultaneously in the Helgoland (Q.17) while becalmed and without engines or wireless. Forced to return fire early they managed to sink one U boat and avoid two torpedo attacks. Sanders was promoted to Lieutenant-Commander, eventually commanding HMS Prize. He was awarded the Victoria Cross for an action on 30 April 1917 with U-93, which was severely damaged. The Imperial German Navy commissioned six Q-boats during the Great War for the Baltic Sea into the Handelsschutzflottille. None  were successful in destroying enemy submarines. The German Q-ship Schiff K heavily damaged the Russian submarine Gepard of the Bars-class on 27 May 1916. 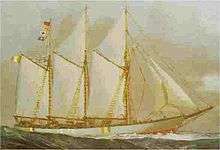 The famous Möwe and Wolf were merchant raiders. Yeomen and supply clerks of USS Anacapa (AG-49) exhibiting non-regulation attire typical of Q-ship duty to imitate merchant ships. Hinged flaps aft of the anchor hid 3-inch guns aboard USS Anacapa. In Ernest Hemingway's novel Islands in the Stream the main character Thomas Hudson commands a Q-ship for the US Navy around Cuba as he hunts the survivors of a sunken German U-boat. In James H. Cobb's novel Phantom Force (2005) the main character Amanda Lee Garrett commands a modern Q-ship of the US Navy. In contrast to other Q-ships this ship is not a retrofitted merchant vessel but a newly constructed military vessel built to look like a bulk carrier. The main deck of the Q-ship can be converted to a flight deck. The ship is capable to deploy several rotary wing aircraft and amphibious vehicles that are stored in its cargo holds. In the novel the ship is used to intervene in a military coup in Indonesia while the United States formally do not intervene. ↑ "WWI Special Service - Q ship or Mystery ship operations". ↑ National Security Agency - Naval Security Agency Report (1986). "The Origination and Evolution of Radio Traffic Analysis - The Period between the Wars" (PDF). NSA. National Security Agency. Retrieved June 4, 2014. DOCID: 3362395 - Approved for Release by NSA. on 06-16-2008, FOIA Case #51505 - UNCLASSIFIED See pages 31 & 32. ↑ Marder, Arthur: "The Influence of History on Sea Power: The Royal Navy and the Lessons of 1914–1918", The Pacific Historical Review, Vol. 41, No. 4. (Nov., 1972), pp. 413–443.